Dr. Amanuel Elias is a research fellow for the UNESCO Chair, Cultural Diversity and Social Justice at the Alfred Deakin Institute for Citizenship and Globalisation. He received Masters in Economics from Monash University (2012) and Ph.D. in health economics from Deakin University (2015). His latest research estimated the economic cost of racial discrimination in Australia (BMC Public Health, 2016). 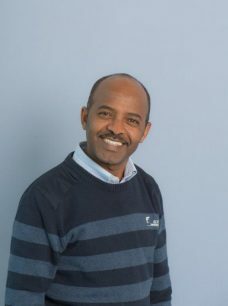 Prior to his academic career, Dr. Elias worked in development projects in Eritrea where he worked for a local government until 2005. His research interests include the: socio-economic and health impacts of racial discrimination; experiences of migrants and cultural minorities; and intercultural relations and cultural diversity.